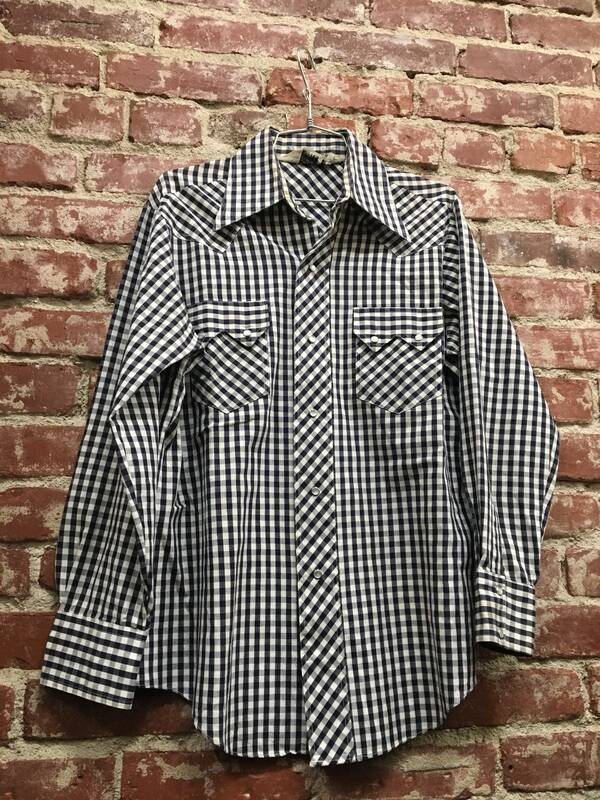 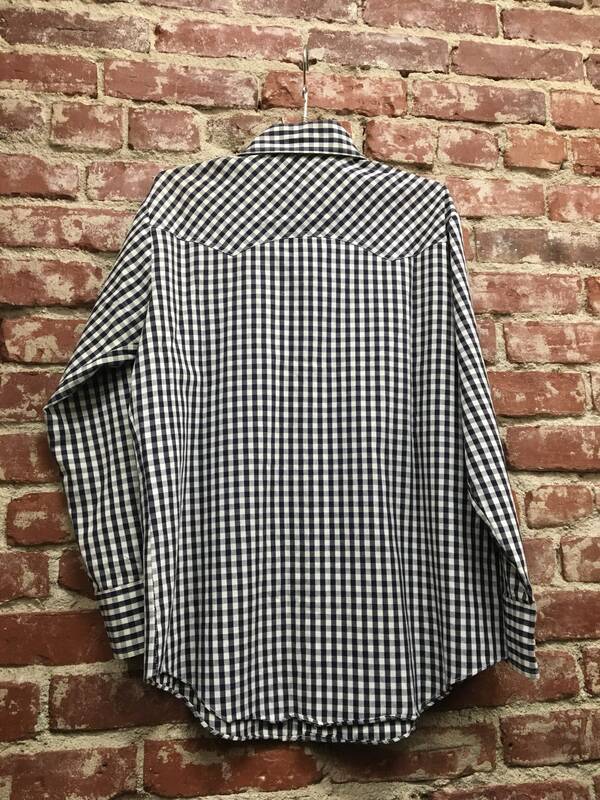 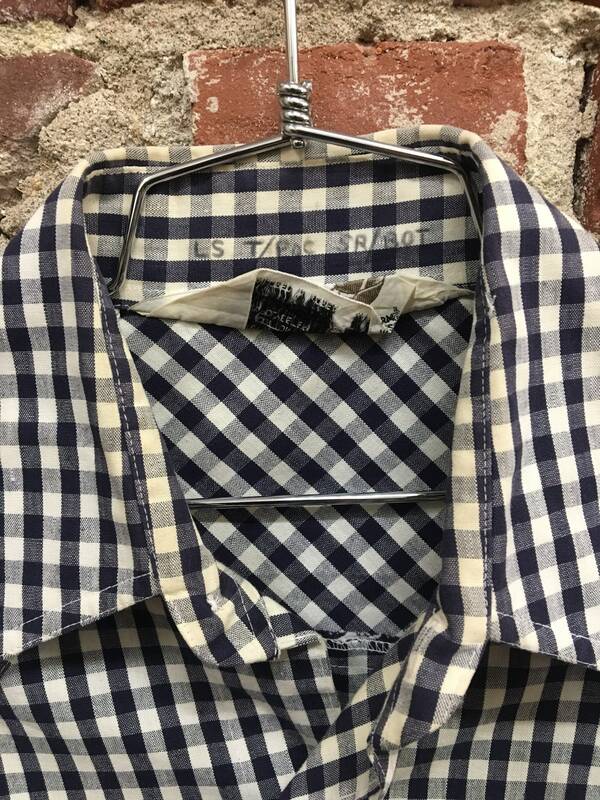 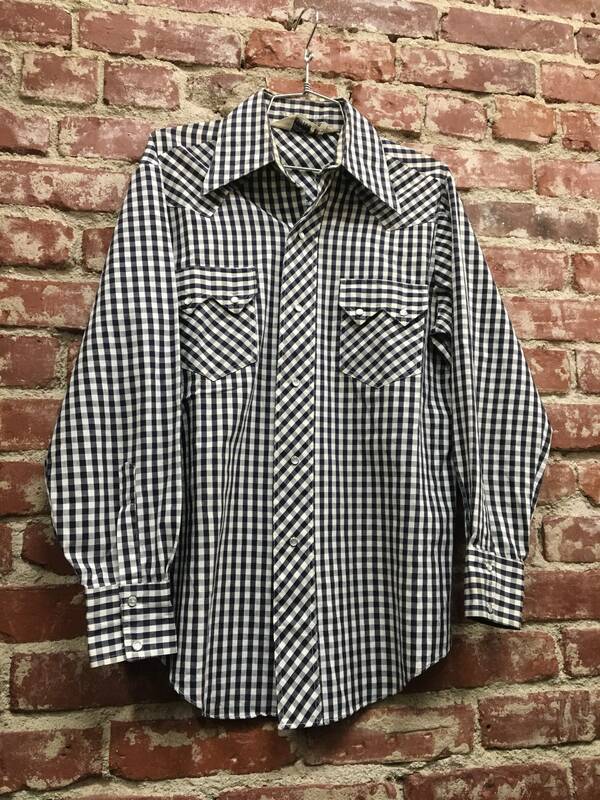 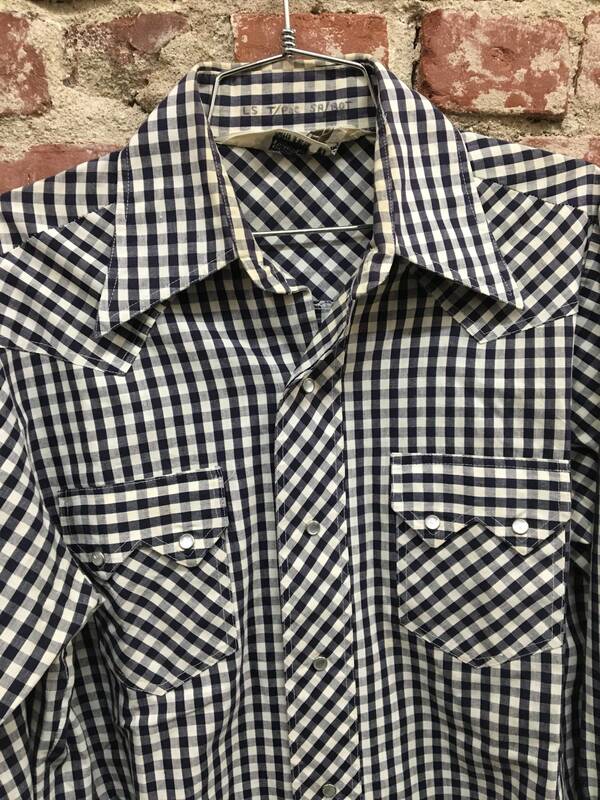 Beautiful men’s seventies gingham western shirt. 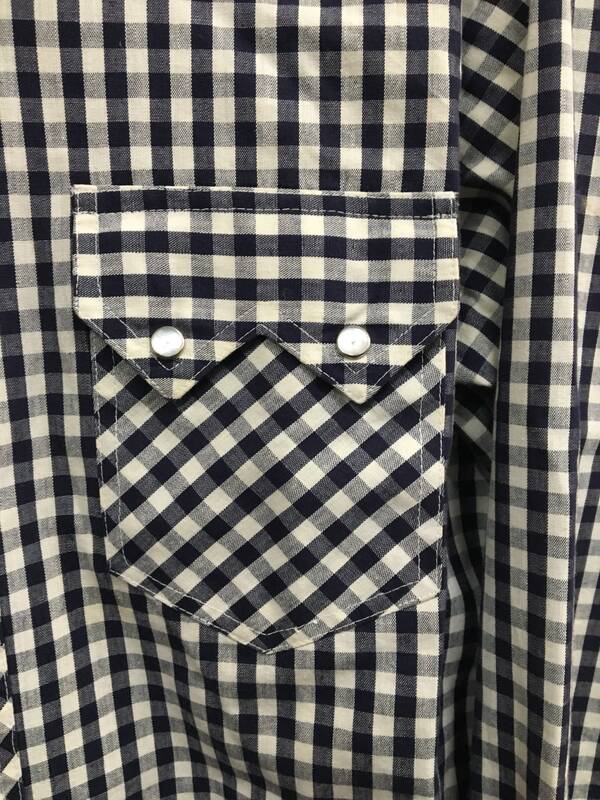 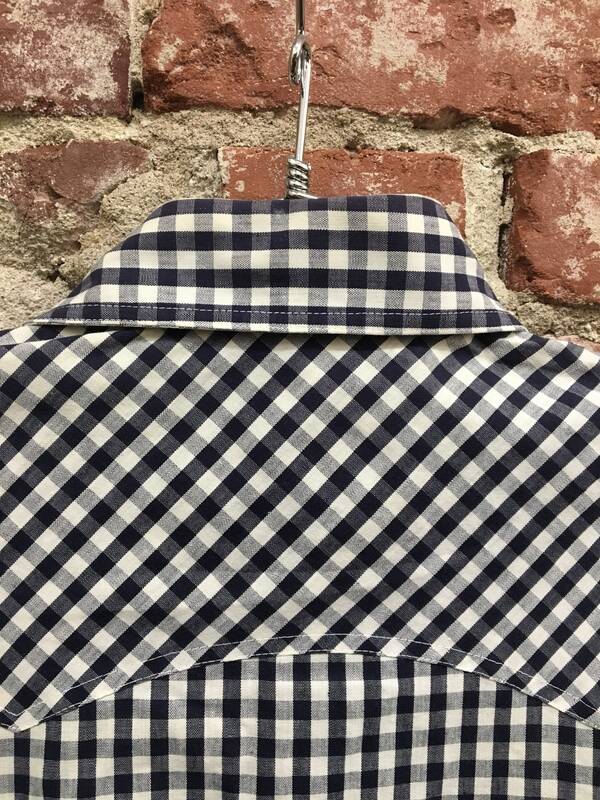 Gingham is a classic print started in the ‘30’s. 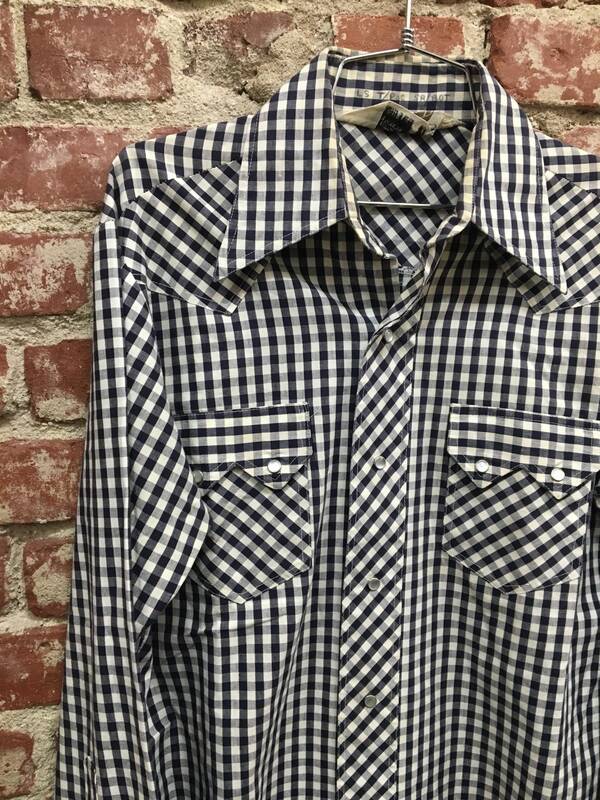 Came into its own by the ‘60’s. 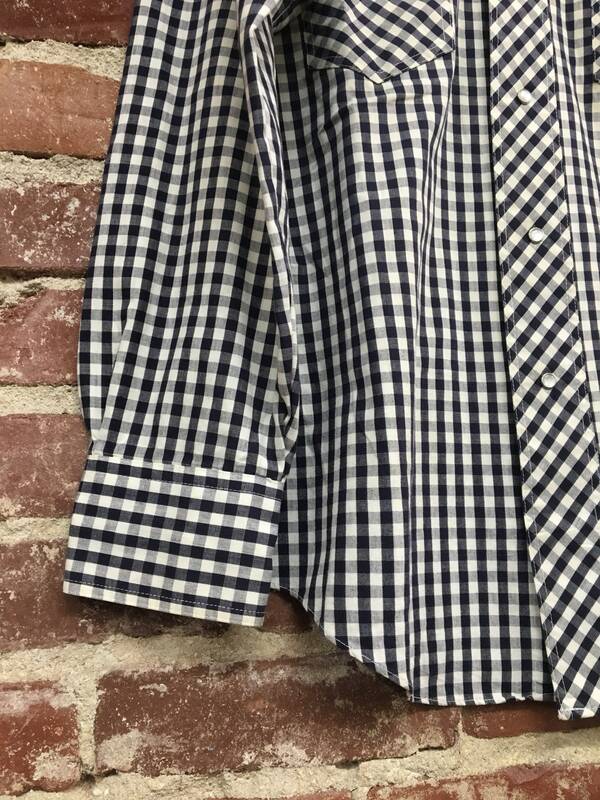 This navy & white one is so nice. 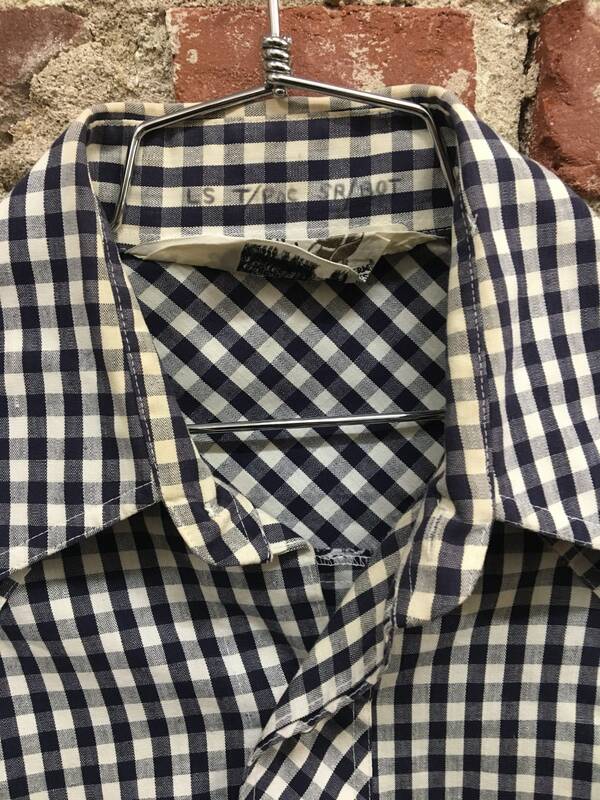 There’s writing on the inside Collar as they often did in the ‘70’s.